The smartphone under review is all about the battery capacity and while this not a new category of smartphones. It is not every day you see a smartphone with an enormous 6, 200mAh battery. The smartphone that I’m talking about is the Homtom S99 and it carries a decent spec sheet more of a budget smartphone. While it tries hard to maintain an elegant modern build, the smartphone is more toward the bulky device type. To serve a not of warnng, the Homtom S99 is quite large even though it comes with an 18:9 aspect ratio alongside a concious effort to reduce bezels. With a thickness of 12.8mm the smartphone might stand out a bit as a battery juggernuat and weighs not too high 200g. The back smartphone is made of plastic and has a charactyeruictic polygonal patterned design while the front is just with normal amunt of bezels. The screen is not much of a stunner with a mediocre size and reslution and the common LCD panel. 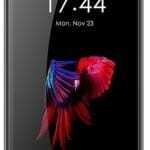 Display is jjust about 5.5-inch and resolution set at 1440 x 720 pixels. Reinforced with Corning Grilla Glass 4, the smartphone’s display has a fair protection against easy scratches and dameage. Coming to the selling point of the smartphone which is pretty much what make it stand out from the regular smartphones. Talking abouth the 6, 200mAH non removable mammoth battery said to take you for 3 days acccording to Homtom as well as quick charge pumping charge into the MicroUSB port. Joining two back camera frenzy, the Homtom S99 comes with a nice 21MP an 2MOP camera coperation on the rear side with features like background blurring, panorama to name a few. For slefies, the front is graced with a 13MP camera which is a fair sensor by budget standard. Following suite in the path of some of its competition, the smartpgne has a MediaTek SoC in its core. 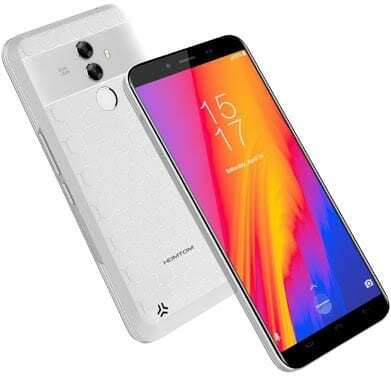 In that respect, there is MediaTek MT6750T processor with eight cores running on the smartphone with amax clockspeed of 1.5GHz and a Mali-T860 MP2 GPU in place for sorting graphics out on the smartphone. The rest of the story covers a 64GB follow come storage space and a 4GB RAM for ease of usage. Although the storage is enough for an average user, theis can be extended to 128GB with an SD card. From the stables of Homtom you are offered Android 8.0 from the box with slight add ons. On sale in a number of online stores and smartphone hub for about 58, 000 Naira depending on th deal and storage space.